New digital technologies without doubt are transforming practically all spheres of our lives. In education, many new concepts emerge with technological development. One such concept is Smart Education, which is an education strategy for Smart Cities. Smart Education can be considered as technology enhanced education emerging in technology-enhanced cities. 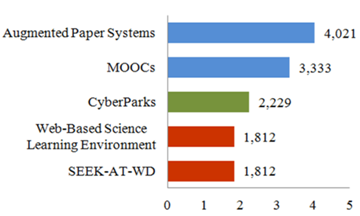 This paper presents the concept of CyberParks, a new context for Smart Education. The basic assumptions and the theoretical background of CyberParks are discussed, in light of the concepts of Smart Cities and Smart Education. CyberParks are considered as an innovative educational solution where new modes of learning are promoted as an integral element of Smart Education. Study results are presented showing how CyberParks are rated by pre-service teachers, in their role as architects of future education. Pre-service teachers rated CyberParks very low as an educational and pedagogical solution considering these digital-enhanced contexts as a threat to their vision of education. On the one hand, this is a clear confirmation of the assumptions of the SCOT theory, and on the other, it is an example of social reproduction of how education is perceived. Klichowski, Michal, et al. "CyberParks as a New Context for Smart Education: Theoretical Background, Assumptions, and Pre-service Teachers’ Rating." American Journal of Educational Research 3.12A (2015): 1-10. Klichowski, M. , Bonanno, P. , Jaskulska, S. , Costa, C. S. , Lange, M. D. , & Klauser, F. R. (2015). CyberParks as a New Context for Smart Education: Theoretical Background, Assumptions, and Pre-service Teachers’ Rating. American Journal of Educational Research, 3(12A), 1-10. Klichowski, Michal, Philip Bonanno, Sylwia Jaskulska, Carlos Smaniotto Costa, Michiel de Lange, and Francisco R. Klauser. "CyberParks as a New Context for Smart Education: Theoretical Background, Assumptions, and Pre-service Teachers’ Rating." American Journal of Educational Research 3, no. 12A (2015): 1-10. The term “smart” has recently become an incredibly popular buzzword being used in all possible contexts, from food to scientific systems. However, the “smart” notion appears above all in the technological context. The ‘Smart’ label is used indiscriminately wherever and whenever something has been technologically enhanced, or a product has been adapted to human needs through some technological solution or even when a new version of a product is developed with some (minor) technological improvement. Thus, one experiences this ‘Smartness’ in any aspect of our life – Smart TV, Smart Home, Smart Clothing, Smart Shopping, Smart Cars, Smart Aircraft, Smart Medicine, Smart Businesses, Smart Warfare . In the educational context, Smart Education is a technology-enhanced educational strategy that is supposed to be applied in technologically enhanced cities [2, 3, 4]. This paper promotes the concept of CyberParks as a new elaboration of Smart Education. The theoretical background (within the concepts of Smart Cities and Smart Education) and the basic assumptions of CyberParks are discussed, emphasizing their educational and pedagogical potential. These are considered as contexts that can be used to promote new modes of learning that can be an important element of Smart Education. The results of a preliminary investigation about pre-service teachers’ perception to CyberParks is presented. These preliminary results are considered important because they give a glimpse of how those who will be the decision-makers shaping of future education, consider the educational and pedagogical potential of these technology-enhanced spaces. The results of this investigation are a good exemplification of the assumptions underlying the SCOT theory and an interesting example of the social reproduction of educational perception. Technology, creativity, and city life have been closely intertwined since many decades. Smart Cities business, policy and design visions have risen to prominence since the mid-2000s, following the so-called “creative city” policies of the late 1990s and early 2000s. Technology companies such as IBM, HP, CISCO, Microsoft and consultants like Accenture and McKinsey are forming Smart Cities coalitions with municipalities and knowledge institutions. Through Smart Cities agendas, they aim to improve services and liveability through ICTs and supporting infrastructures like urban labs. These policies address a variety of issues, including mobility, clean energy, water and food production and distribution, health, living and public participation . It would be unfair to lump all Smart Cities together. There are considerable differences between early Smart Cities built from scratch, like Masdar in the Emirates and Songdo in South Korea, and cities like Barcelona, Amsterdam, or Bristol, that tend to develop far more people-centred agendas because they need to work within an existing urban fabric. Smart Cities criticism attacks the ill-defined notion of "smartness", simplified views of "cityness", and their a-political technocratic nature [6, 7, 8, 9]. What does "smart" mean? Who is actually supposed to be smart? "Smart technologies" foster a logic of consumption, control, and capsularization . The push for safety with CCTV and smart risk assessing algorithms turn cities into places of pervasive control and surveillance. Smart retails solutions, location based services and predictive algorithms push a consumerist view of urban life. And personal mobile technologies foster a culture of cocooning. However, city life and the urban experience are not only about control, efficiency, and predictability but also about encountering the unexpected and dealing with differences. Moreover, Smart Cities views tend to propose technological fixes to complex problems without empowering people to become "smart citizens" [7, 10]. Alternative notions have been proposed to address these asserted shortcomings, among others the "smart citizen" , the "social city" , the "playable city" and "playful city" . In these people-centred views, the issue at stake is how to engage "smart citizens" with their urban environment and with each other. The challenge is twofold. On the one hand, it deals with how the already existing "smartness" of people can be leveraged, while on the other hand it promotes how people can learn to become smarter. 1. Self-directed – “Characterizes the change in students roles as recipients to producers of knowledge and the shift of teachers from deliverers of knowledge to learning assistants (mentors). To achieve this, online assessments, academic performance evaluations, and a self-directed learning system will also be implemented”. 2. Motivated – “Highlights the way in which SMART education will encourage students to take interest in learning. SMART Education emphasizes teaching and learning methods that promotes creative problem-solving and process-centred individualized assessment. Students' learning experiences will be transformed from the typical textbook-based to experience-based”. 3. Adapted – “Stands for the pursing of education through a customized educational system and a customized teaching and learning system. SMART Education strengthens the flexibility of the educational system and facilitates customized learning in connection with personal interests and future career aspirations. It also helps schools evolve from a place of delivering knowledge to a place that supports personalized learning according to students’ levels and aptitudes”. 4. Resource enriched – “Describes the support for rich teaching-learning materials. From a cloud learning service, SMART Education provides free access to rich contents developed by public and private institutions and individuals in education, expands the joint use of domestic and overseas learning resources, and promotes collaborative learning through the contents delivery platforms”. 5. Technology-embedded – “Illustrates the use of the latest information and communications technology. SMART Education enables students to learn at anytime and anywhere through information technology. By building an educational environment that encourages student-centred learning, students are provided with diverse methods of learning tailored to self-selected areas of interest”. Smart Education is considered to be the most advanced stage of changing education through new ICT. Researchers underline that it is a result of an evolution of the educational application of digital technologies crystallized in solutions such as e-learning, m-learning and u-learning (Figure 1) [14, 15]. As continually stressed by researchers, Smart Education is undoubtedly an important perspective of the modernization of educational systems that is directed at adjusting education to the requirements of the contemporary, rushed world, and at creating such a system of education that could survive the ongoing technological revolution [16, 17]. Many studies confirm the effectiveness and appeal of Smart Education [18, 19]. The analysis of relevant literature leads to the identification of three basic pillars that support Smart Education: (1) Mobile Computing, (2) Digital Textbook and (3) Cloud Computing [14, 15, 20, 21, 22]. 1. Mobile Computing is a key technology of Smart Education because it constitutes the strategy of educating everywhere, according to student’s individual preferences. Using smartphones, tablets and other portable devices, students can complete educational tasks in any place, even beyond the traditional school building [4, 20, 22]. Research conducted by Sykes  show that using Mobile Computing in education increases students’ effectiveness. A group of students who learnt a subject using their iPhones scored significantly better results in learning than a group that learnt the same subject without iPhones. 2. According to Jang  a Digital Textbook is a “future-oriented”, technology-enhanced and more attractive textbook. Apart from the function of a traditional textbook, Digital Textbook also plays the role of a notebook for self-directed studying, workbook and dictionary. It also contains various innovative learning aids . Moreover, Digital Textbook uses very advanced technological elements, such as videos, animations, virtual reality, or hyperlinks. Digital Textbook is also very interactive, and as such adjusts itself to the aptitude, skills, and level of each student . Digital Textbook functions in the environments of the so-called N-screen (sometimes called 3-screen, with reference to three fundamental contexts of use: Web, mobile, TV), so it can be used on every screen – of a computer, tablet, smartphone, TV etc. .
3. Cloud Computing is a commonly used term that includes a number of ambiguities with regards to its definition. In its most simple form, Cloud Computing is a strategy of transferring various types of programs or materials from personal computer discs to a network (cloud), so that it is possible to use them in any place and on any device . Cloud Computing is increasingly being introduced within educational systems as an attractive solution both from the perspective of school economy and teacher work convenience, as well as the effectiveness of learning . From the education point of view, Cloud Computing in simple terms comprises a technological cloud where educational materials in different formats (text, film, sound etc.) are stored. In this cloud, applications and educational programs are installed, as well as communication tools used by the various stakeholders in Education (students, teachers, parents, school authorities etc.). From technological perspective, this cloud is available on all devices (smartphones, computers, TV sets etc. ), which makes the process of learning possible everywhere, anytime [15, 21]. Many studies confirm that introducing Cloud Computing to education ensures lower educational costs, better security and faster exchange of information and knowledge, makes the learning process more attractive and increases its effectiveness [24, 25, 26, 27]. 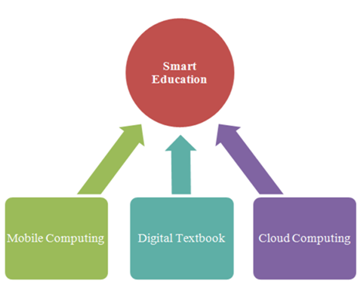 Figure 2 represents the concept of Smart Education supported by these three technological pillars . The concept of Smart Education based on the identified technological pillars serves as a good organising model for ‘CyberParks’ – the proposed innovative instance of Smart Education. We are used to see people relaxing in parks with newspapers and books, and now increasingly with smartphones and tablets. The digital has become part of our outdoor lives and that trend is set to continue . But there is another trend to take into consideration – the fact that many of us really prefer to stay inside and be world-wide connected via internet. This leads to the new challenge of how we can capitalise on our newfound love of the wired life to encourage more people to go outside. Will a park ascribed with digital values persuade us to act in this way? The intertwining of digital media technologies (smartphones, tablets, Wi-Fi connections) with the public open spaces (parks, gardens, squares, plazas, etc.) is not new, not yet fully investigated, but is already challenging ICT experts, landscape architects, urban designers, social and education scientists. Tackling this challenge is in the core of the Project CyberParks  that explores how digital media can become an attraction to bring people outdoors enticing them to lead an active and healthy life style and getting them engaged in different forms of learning in these public open spaces. On the other hand, the project reflects on how digital media and technology can be employed to analyse the design, production, development, and use of urban spaces and how this activity opens new research perspectives. Smaniotto Costa  discuss extensively the functions and values of public spaces from different aspects, and concludes that having different characteristics, public open spaces carry out different functions and provide diverse benefits in different ways to different users. It is well recognised that public open spaces increase the satisfaction and the quality of life of the population. Another core question is about the contribution of digital technologies in transforming our cities into more social places, rather than just high-tech environments. To do so it is necessary to explore CyberParks, the real public space mashed-up with digital technology and as places for recreation, gathering, and encounter with other people, for social and cultural expressions or demonstrations. Moreover, it is necessary to consider that digital devises cause and enable innovative outdoor social practices, which challenge experts to integrate them in design, policies, and research aiming at the production of more responsive and inclusive urban places. In the Project CyberParks, an ICT tool consisting of a smartphone application (app) and a web service is being tested. This app, called WAY CyberParks (Where Are You) tracks the way people use the space, allowing them to get contextual information and to send suggestions or complains about the spaces they are interweaving. At the same time, the web-based tool monitors the way people use the space in real time allowing researchers to visualize user’s path and linking it to demographic data such as gender, age, occupation, or reason for visiting the space. This app is an attempt to use ICT to better understand how people use public open spaces and to investigate the crucial elements to be responded by design, research, and policy making aiming to produce more responsive, stronger, safer, and inclusive cities. From an educational perspective, the Project CyberParks strives to create a strategy for incorporating digital tools in public spaces, to transform them into interactive and immersive learning environments capable of increasing social, communicative, and possibly collaborative skills. CyberParks are meant to be outdoor spaces that promote technologically supported learning and education. Learning in open environments such as CyberParks is profoundly different from that occurring in formal contexts like the classroom. Didactical approaches characterise most of the activities implemented in class, although elements of constructivist (learning through exploration, experimentation, and collaboration) and constructionist (learning by designing) may also be included. On the other hand, learning in CyberParks draws more on a connectivist epistemology  that focusses on connections created through digital technologies while visitors follow their learning interests by interacting with domains of knowledge, related conceptual artefacts , co-learners, experts, and communities of practice. Thus, the underlying epistemology, pedagogy, and contextual characteristics of these two pedagogical scenarios are disparate and many times contrasting. From an epistemological perspective, there is a shift from knowledge representation and simulation characterising didactical approaches to direct experience through immersion and embodiment in open exploratory contexts like CyberParks. In classroom situations, static or simulation-based representations of objects or processes are negotiated. Many times digital tools are used to create very faithful simulations of objects, process, or contexts (including natural and urban spaces), assuming a direct positive correlation between degree of authenticity, and learning. Yet this comprises learning through indirect experience using static or animated representations. Learning in CyberParks is the outcome of an immersive technology-enhanced highly interactive activity through which knowledge is acquired, created, and shared. This immersive approach leaves in learners, not only memory residues, but most important a network of internal and external inter-connections. Each immersive learning activity in technology-rich open spaces creates intra-individual connections with learner’s sensory-motor, cognitive, affective and conative systems that describes the idiosyncratic experience in that particular place at a specific time under specific external conditions. It also creates inter-individual connections that describe the social experience comprising both interactions with people sharing the same physical space and those mediated through on-line social networking. Learning in CyberParks is also distinguishable in a range of pedagogical characteristics that describe its organization and management. Learning in class is teacher-structured, teacher-managed and predominantly teacher-assessed. Learning in CyberParks is not prescribed – it is primarily learner-created, learner-managed and evaluated. It moves away from set curricula and the execution of planned activities, evolving more through self-managed interactions and improvised personal learning plans. Technology is exploited, not to simulate learning in an environment, but to enhance the immersion, interaction and connectedness of the learner with the surrounding and distant environment. “When mediated through technologies, e.g. by means of mobile and locative media, the surrounding physical environment and the digital environment can be dynamically merged into augmented, ad-hoc Personal Learning Environments.... which are not permanent, but created ad-hoc and adjusted dynamically by connecting virtual and physical spaces” . While classroom learning is very static and confined, learners in CyberParks are provided with enhanced mobility, interaction, and control possibilities. This dynamic environment gives rise to the phenomenon of glocality – where “the local and the global coexists” . Mobility and interaction in CyberParks is manifested along different dimensions. Sharples et al. differentiate between mobility in the physical space, mobility of technology, mobility in conceptual space, mobility in social space and mobility in time. Through this mobility, learners are able to capture and share personal learning experiences in new way that enable new forms of learning across multiple contexts . In this connectivist setting, learning in CyberParks manifests itself in different interactive learner-managed experiences mediated by the existing technological infrastructure and mobile personal digital devices such as electronic tablets, smartphones, and wearable digital gadgets. Thus, learning is the outcome of different dimensions and levels of interaction. Interaction through technology with the physical and social environment is characterised by multi-channel, multi-objective, and multi-context learning . Using GPS or Wifi-enabled devices, together with task-dedicated apps, Cyberpark users can interact through various communication channels and actively participate in multi-directional conversations. Crowd learning  harnesses the knowledge of many people and utilizes “the power of the masses” to support learning experiences. Apps like “Foursquare 8.0” and its companion “Swarm” create information flow between the crowd and the learner, and the expertise of the crowd can be accessed anytime and anywhere on learner’s personal device. Such dynamic and immersive combined physical-digital environment is capable of supporting multiple-objective learning enabling learners to follow personal, idiosyncratic objectives and learning patterns. At one moment it could be an information-seeking interaction using an augmented reality approach through the app Aurasma, followed by an exploratory activity on the same app that attempts to establish relationships between concepts, ideas, or events. Playful learning is another learning approach mediated by pre-designed systems interactive systems or Apps that introduces the competitive and fun elements in the learning experience. The app WAY CyberParks can be used to promote citizen enquiry  to blend inquiry-based learning with active citizenship as a way to create knowledge and awareness about relevant social issues. The intensive and extensive interaction possibilities created by the integration of digital technology in open physical environments leads to multi-context learning, which enables not only learning anywhere and anytime, but also combining physical and virtual spaces transforming urban elements into learning resources . Sharples et al. refers to this as Seamless learning that extends the learning experience beyond the boundaries of across time and location, blending learning with everyday life. Geo-learning is an instance of seamless learning that utilizes context-aware and position-based technologies to add interactive points and layers of digital information to physical spaces, which offers the possibility of interconnecting locations and social settings, and facilitates the exchange of information across contexts. For example both apps, Aurasma and WAY CyberParks could connect learning contexts by moving themes explored in the classroom to outdoor settings from which further data, observations, media footage and context analysis are taken back to the classroom to enrich lessons and elaborate the learning experience. In considering CyberParks as connectivist learning contexts that can be easily customised to personal learning environments, there is a need for a paradigm shift in learning design approaches. Current prescriptive learning design models are inappropriate to capture the complexity, dynamism and unpredictability of learning in CyberParks. Learning design models that empower learners to design and organise their mobile learning experience are more applicable for these technology-rich, highly interactive, evolving scenarios. The role of teachers and learning designers thus shifts from prescribing (instructional) activities, on basis of identified needs, to providing the digital (pedagogical) infrastructure and resources to be used by the learner for designing and managing one’s personal learning plan and environment. It is not a prescription based on task and content analysis but one based on analysis and identification of learning processes and interactions that will underpin potential learning experiences . Moving beyond designing structured activities, dimensions and levels of interactions are used as design elements to develop possible patterns of interactions made available to visiting learners who will use them to develop their seamless, inquiry-based, playful, glocal learning experience. This design approach also makes use of emerging technologies and digital resources, which are evaluated and employed in CyberParks (Smart City learning), considering the learning processes, they are capable of mediating that will eventually empower learners to develop their (ad hoc) learning plan and experience. CyberParks can thus be considered as new context for Smart Education. Learning in CyberParks will be self-directed and thus extremely attractive, which will make students very motivated to learn. Learning tasks and contexts will be adapted to student’s preferences and will be based on natural and technologically enriched resources that give the opportunity to learn using portable digital devices. CyberParks also stimulate cooperative learning while linking formal with informal educational spaces, thus referring to two key postulates of Smart Education . At this stage, the Project CyberParks has not yet formulated precise, methodical educational solutions that would show detailed elements of how to work with students in the public spaces with the use of ICT. It is possible, however, to state now – as tried to demonstrate – that CyberParks seem to be a new and interesting context for developing the Smart Education concept. In this context, it seems important to learn how pre-service teachers rate CyberParks considering their critical role in the future adoption of such technology-intensive solutions in education. The theory about the Social Construction of Technology (SCOT theory) proposes that the way of rating new technologies is socially construed in social groups who create their own assessment of new technologies. Each social group shows a certain fear of such new technologies whose application can disrupt the current way of the group’s functioning (irrespective of whether the change will be objectively positive or negative). Thus, the SCOT theory shows that at the moment of implementing innovative technologies, very often a conflict is created between the promoters of that particular technological innovation and their potential recipients [39-46]. In educational context, studies show for example that a group of teachers rates poorly such new technologies that have not yet been used in education but have the potential to significantly change its traditional model [47, 48, 49]. Our study confirms the assumptions of the SCOT theory in the context of rating technologies by pre-service teachers. They rate very poorly those new digital technologies that interfere with the adopted teaching model, and rated highly those technologies that can be applied without modifying significantly their pedagogical approach . Thus, the SCOT theory shows that the perceptions about education and learning are reproduced within given social layers. Pre-service teachers reproduce the approach to education that they learnt and developed from their own school experiences. In context of technology, this reproduction is manifested as built-in fear to digital technologies that are perceived as revolutionary to education by changing its internalized representations, such as paper textbooks, school rooms, formally defined learning spaces etc [51, 52]. By analysing the educational dimension of the Project CyberParks, it is difficult to reach a consensus about whether CyberParks is a technological solution that can seem to be revolutionary for education or rather technology serving as a support for traditional forms of teaching and learning. Learning in public spaces with the use of technology can be perceived as a modification of educational space and educational resources, but also as a technological extension of traditional outdoor education . Therefore, it was decided to verify how pre-service teachers – those who will decide which technological solutions will be adopted in future education – will rate CyberParks. This investigation was guided by the following research question: Are CyberParks a solution that belongs to the ICT solutions, which modify the traditional model of education, or maybe to the group of the ICT solutions that enrich this model without transforming it radically? One hundred twenty pre-service teachers from Adam Mickiewicz University in Poznan (Poland) participated in this study. In this study, conducted in January 2015, the pre-service teachers were asked to rate five new ICT solutions they were not familiar with. A five-point rating scale was used, where “1” stands for “very low opportunity for education”, and “5” for “very high opportunity for education”. Each ICT solution was presented in the form of a multimedia presentation. The ICT solutions presented during the study were selected in such a way so that two of them (A set) included the solutions that would enrich traditional educational situations, and the other two (B set) would include those solutions which would significantly transform the traditional educational situations. 1. Augmented Paper Systems. Augmented Paper Systems is an approach for using ICT to modernize the traditional, paper-based educational tools – without denying it, with the addition of the digital dimension . 2. Massive Open Online Courses. MOOCs is a strategy of using the idea of traditional educational activity in the ICT courses, usually free and available for everyone [55, 56, 57, 58]. 1. Web-Based Science Learning Environment. Web-Based Science Learning Environment is a strategy of using ICT in such a way so that it is possible to transfer (partially or totally) science content (of every educational level) to an online environment . 2. Support for Educational External Knowledge about Tools in the Web of Data. SEEK-AT-WD is a strategy of using ICT in such a way so that it is possible to build an Internet platform on which teachers can gather descriptions of ICT, conduct the pedagogical evaluations and create the pedagogical strategies of using and constructing ICT in order to use them in education in a better way. SEEK-AT-WD is such a use of ICT, which not only intensifies the process of introducing ICT to education, but also significantly transforms the traditional concept of teacher knowledge . The ICT solutions were presented to the participants in a random order, whereas the last proposed ICT solution was CyberParks. A more detailed description of these ICT solutions, together with a justification for such division is discussed in Klichowski and Smaniotto Costa . 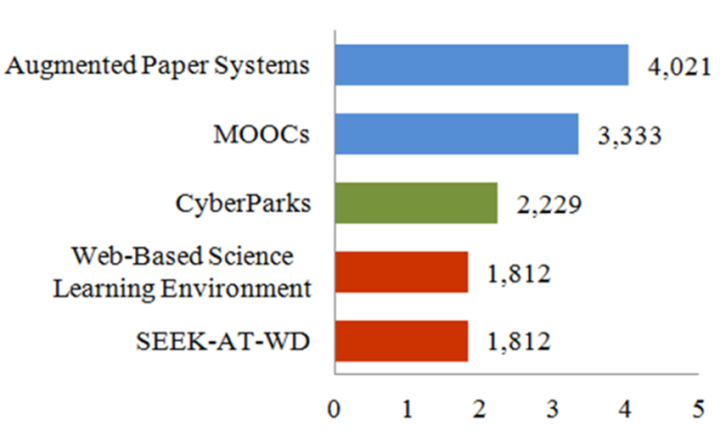 The aim of this study was to compare the ratings of CyberParks with the ratings of the ICT solutions of the A set and of the B set and to describe which of these sets CyberParks belong to. The normality of distribution for each rating was tested using IBM SPSS for Windows version 22. Since the normality was not confirmed (Kolmogorov-Smirnov test: all p < 0.05), the non-parametric Mann-Whitney U test was applied. The results were evaluated with a 99% confidence interval and p < 0.05 significance level. As shown in Table 1 and in Figure 3, there was a significant difference between the ratings for the A set and those for the B set. Respondents rated the ICT solutions from the A set higher than those of the B set. Therefore, it can be assumed (in accordance with the SCOT theory) that the study group better rates those ICT solutions whose application does not put at risk the traditional educational model. As shown in Table 2 and in Table 3, subjects rate CyberParks as a solution that corresponds with ICT solutions from the B set – the ratings of CyberParks are significantly different from the ratings of the A set and are not significantly different from the ratings of the B set. Therefore, one can assume (in accordance with the SCOT theory) that the study group perceives CyberParks as a solution that modifies the traditional educational model. This preliminary investigation shows that pre-service teachers rate CyberParks relatively low; they do not see this solution as a high opportunity for education. Thus, according to the assumptions of the perspective of the SCOT theory, they perceive CyberParks as one of those ICT solutions whose educational application modifies too much the traditional model of education that they know comprising the traditional educational space, forms, materials, and methods. This result corresponds with the outcomes of a previous study where the same five-point rating scale was used. This also shows that pre-service teachers rate the concept of Smart Education very poorly (mean rating = 1.292). Pre-service teachers are afraid of Smart Education, as they perceive it too radical, too dependent on new ICT, and too distant from the model of education that they know . Interestingly, a number of studies show that pre-service teachers have a general positive attitude towards new ICT . Other research show, however, that they are often afraid of the educational application of those new ICT . In this context, the interesting study by Barak  is very relevant as it claim that pre-service teachers are afraid in using ICT in their educational setting, as it will weaken their authority in the classroom because of their comparatively weaker technology skills in relation to their students. However, it seems above all that pre-service teachers feel more comfortable in reproducing the education concept that they built during their personal educational development. Low ratings of ICT solutions that modify education, such as Web-Based Science Learning Environment, SEEK-AT-WD or Smart Education and CyberParks are thus not a result of a general negative attitude of pre-service teachers towards those solutions, but of the social reproduction of their perceived educational model. This study had a number of limitations. The most important one is that the study sample was small and limited to one institution. There were also no measurements in the control groups, which could show how the pre-service teachers’ ratings compare with the ratings of students’ population. It would also be very important to complement the procedure applied with the technique of in-depth interview, which would show the detailed context for the ratings given by pre-service teachers. One recommends carrying out a new study that controls for these limitations. In trying to formulate practical conclusions from this investigation, reference should be made to the context of social reproduction of educational perceptions, with focus on its technological dimension. It is important to counteract a situation when pre-service teachers reproduce the educational strategies that they know and refuse to accept innovative ways of changing education. We live in times characterised by rapid change in a highly digitalized world. In this context, education should also change rapidly to adjust to the requirements (also those technological) of contemporary reality by exploiting the educational potential of new ICT solutions. It thus seems necessary to modify the educational strategy of pre-service teachers, so that it is firmly based on technological knowledge. It seems invaluable in this context to introduce the TPACK model (the Technological, Pedagogical, and Content Knowledge model) in pre-service teacher’s education. This model proposes making technological knowledge an obligatory part of the pre-service teacher’s education in order to combine it with content knowledge and pedagogical knowledge [64, 65]. Kabakci Yurdakul and Coklar  state that TPACK “refers to the teacher’s knowledge of effective and efficient use of technology to increase the effectiveness and quality of instruction in the whole teaching process from planning to evaluation in the process of teaching a specific content”. It should be highlighted, without the detailed description, that TPACK is a very advanced model, representing a “techno-pedagogical approach” to educate pre-service teachers . However, as Koh and Chai  demonstrate, there are still no precise guidelines as far as its application is concerned. CyberParks, as this paper attempts to demonstrate fits the scope of the Smart Education concept and fulfil its assumptions. First, CyberParks make students become active creators and managers of their own learning experience. In this process teachers become the guides of this process, changing the traditional understanding of the transmission of knowledge into its searching and co-construction. As a consequence, their major role will be to encourage students to learn by making learning attractive. CyberParks can provide customised learning approaches capable of adjusting to the needs and interests of an individual while giving them access to vast information and learning resources through their mobile devices. Technology-mediated learning proposals like CyberParks are characterized with great educational potential. They provide an answer to the drive, so typical of contemporary times, promote individualize learning, motivate students and broaden the contexts of learning and teaching. They reflect educational needs that continually emerge in the world of technological enhancements. The results of this investigation give a different picture, showing that pre-service teachers underestimate the educational potential of CyberParks. Pre-service teachers’ reluctance towards such a type of solution can be explained by referring to the theory of social reproduction of how education is perceived. In their work, teachers reproduce their constructed theories of professional roles, which will subsequently influence their pedagogical decisions for their classroom . These private theories are also called hidden theories , because one is not always conscious of them, yet they play the role of scientific theories by ordering one’s reality and indicate ways for organising thoughts and actions. Usually, it is the transmission model of teaching that is reproduced [70, 71]. In this model, the role of the teacher is identified with giving ready-made solutions to problems, and transmitting knowledge in a clear and ordered way . As CyberParks do not proposes a well-structured linear mode of learning, it does not fit into this (teaching) concept. The traditional approach to teaching present in pre-service teachers’ own school experiences is rooted so deeply that it dominates the knowledge acquisition and organisation during their professional development  and for this reason, it is reproduced in their teaching practice. This is confirm by the Teaching and Learning International Survey (TALIS) report based on data obtained from comparative studies carried out in 23 countries using a sample of 70,000 teachers. Among various themes, this study explore professional development, teacher beliefs, attitudes and practices. Teachers from most of the countries participating in the survey report using traditional practices aimed at transmitting knowledge in structured settings much more often than they use student-oriented practices, such as adapting teaching to individual needs. The report also refers to the very limited use of technology learning activities that require deeper cognitive activation of students . Studies indicate many causes for the prevalence of the transmission model in pre-service teachers’ frame-of-mind. Apart from their own educational experience, this predominant mentality results also from the conscious selection of an easier way to impart knowledge (accompanying a student in achieving knowledge is more demanding than providing it in the form of ready-made scripts) and the lack of sufficient professional preparation (going beyond this model requires practice and firm theoretical and methodological background) . Pre-service teachers declare for example that they would like to use new methods in learning, such as game-based learning. However, these declarations are accompanied with fear related to the possibility of failing to design both an age and a content appropriate game . The reason for such statement is that school teachers and teacher candidates feel incompetent in using digital media. On the other hand, one important finding of a study on the possibility of using new media in language teaching is that teacher candidates find the digital media practices in teacher education insufficient, they feel thus unprepared to take up such activities . Implementing new models in teaching and learning is thus as important as changing teachers’ and pre-service teachers’ approaches to them. The potential of solutions such as CyberParks will be unused if teachers and pre-service teachers will not open themselves to educational experiences that go beyond their idiosyncratic concepts of students, school and teaching. As this paper proposes, applying the Technological, Pedagogical and Content Knowledge model (TPACK) to pre-service teacher’s education can be useful in changing this approach. The study was supported by European Cooperation in Science and Technology Action: Fostering knowledge about the relationship between Information and Communication Technologies and Public Spaces supported by strategies to improve their use and attractiveness (CYBERPARKS) (TUD COST Action TU1306) and was conducted in cooperation with The CyberParks Task Group: Learning in Technology-Enhanced Open Spaces (LiTEOS). Miller, M., The Internet of Things: How Smart TVs, Smart Cars, Smart Homes, and Smart Cities Are Changing the World, Pearson Education, Indianapolis, 2015. Albino, V., Berardi, U. and Dangelico, R.M., “Smart Cities: Definitions, Dimensions, Performance, and Initiatives,” Journal of Urban Technology, 22(1). 3-21. 2015. Fariborzi, E., “Increasing Creativity in Virtual Learning Space for Developing Creative Cities,” International Journal of Academic Research, 7(1). 99-108. 2015. Rothman, R., City Schools: How Districts and Communities Can Create Smart Education Systems, Harvard Education Press, Cambridge, 2007. Hollands, R.G., “Will the real smart city please stand up? Intelligent, progressive or entrepreneurial?,” City, 12(3). 303-320. 2008. Greenfield, A., Against the smart city (The city is here for you to use Book 1), Do Projects, New York, 2013. Hemment, D. and Townsend, A., Smart Citizens, Future Everything Publications, Manchester, 2013. Bell, S., “System City: Urban Amplification and Inefficient Engineering,” In: M. Gandy (ed. ), Urban Constellations, Jovis, Berlin, 2011. Söderström, O., Paasche, T., and Klauser, F., “Smart Cities as corporate storytelling,” City, 18(3). 307-320. 2014.
 de Lange, M. and de Waal, M., “Owning the city: new media and citizen engagement in urban design,” First Monday, 18(11). 2013.
 de Lange, M., “The Playful City: Using Play and Games to Foster Citizen Participation, “In: A. Skaržauskienė (ed. ), Social Technologies and Collective Intelligence, Mykolas Romeris University, Vilnius, 2015. Kim, S.Y. and Kim, M.R., “Comparison of Perception toward the Adoption and Intention to Use Smart Education between Elementary and Secondary School Teachers,” Turkish Online Journal of Educational Technology, 12(2). 63-76. 2013. West, R., “Smart Education Tax Moves,” Journal of Accountancy, 194(3). 81-85. 2002. Kim, B.H. and Oh, S.Y., “A Study on the SMART Education System Based on Cloud and N-screen,”, 15(1). 137-143. 2014. Jang, S., “Study on Service Models of Digital Textbooks in Cloud Computing Environment for SMART Education,” International Journal of U- & E-Service, Science & Technology, 7(1). 73-82. 2014. Hwang, J.S., Lee, S., Lee, Y. and Park, S., “A Selection Method of Database System in Bigdata Environment: A Case Study From Smart Education Service in Korea,” International Journal of Advances in Soft Computing and its Applications, 7(1). 9-21. 2015. Tong, H. and Feng, Y., “Smart Education & Legal Governance,” 3rd International Conference on Science and Social Research. 392-395. 2014. Glasswell, K., Davis, K., Singh, P. and McNaughton, S., “Literacy lessons for Logan learners: A smart education partnerships project,” Curriculum Leadership, 31(8). 1-4. 2010. Murai, K., Hayashi, Y., Stone, L.C. and Inokuchi, S., “Basic Evaluation of Performance of Bridge Resource Teams Involved in On-Board Smart Education: Lookout Pattern,” Review of the Faculty of Maritime Sciences, Kobe University, 3. 77-83. 2006. Igoe, D., Parisi, A. and Carter, B., “Smartphones as tools for delivering sun-smart education to students,” Teaching Science: The Journal of the Australian Science Teachers Association, 59(1). 36-38. 2013. 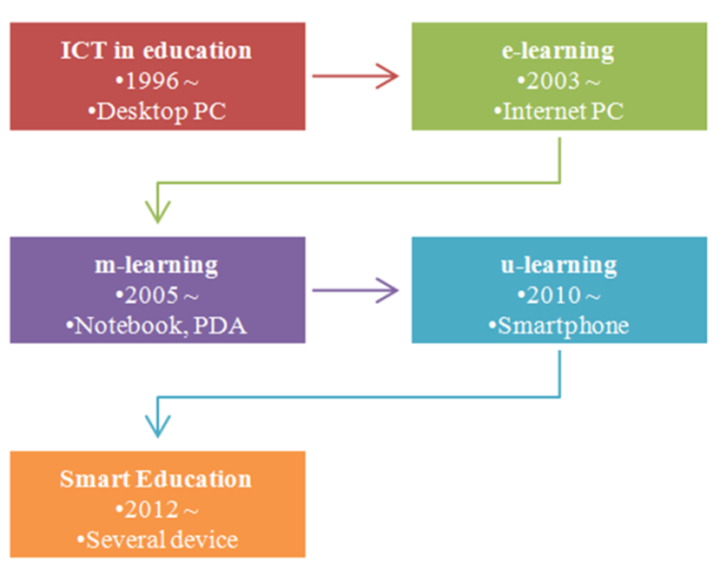 Jeong, J.S., Kim, M. and Yoo, K.H., “A content oriented smart education system based on cloud computing,” International Journal of Multimedia and Ubiquitous Engineering, 8(6). 313-328. 2013. Sykes, E.R., “New Methods of Mobile Computing: From Smartphones to Smart Education,” TechTrends: Linking Research and Practice to Improve Learning, 58(3). 26-37. 2014. Sanghyun, J., “A study on the strategies for improving the accessiblility of the Korea Digital Textbook based UDL guidelines,” The journal of Korea association of computer education, 12(3). 65-75. 2010. Al-Zoube, M., El-Seoud, S.A. and Wyne, M.F., “Cloud Computing Based E-Learning System,” International Journal of Distance Education Technologies, 8(2). 58-71. 2010. Bora, U.J. and Ahmed, M., “E-Learning using Cloud Computing,” International Journal of Science and Modern Engineering, 1(2). 9-12. 2013. Masud, M.A.H. and Huang, X., “An E-learning System Architecture based on Cloud Computing,” World Academy of Science, Engineering and Technology, 62. 74-78. 2012. Pocatilu, P., “Cloud Computing Benefits for E-learning Solutions,” Oeconomics of Knowledge, 2(1). 9-14. 2010. Thomas, S., “Cyberparks will be intelligent spaces embedded with sensors and computers,” The Conversation, 16 May. 2014. CyberParks Project. Fostering knowledge about the relationship between Information and Communication Technologies and Public Spaces supported by strategies to improve their use and attractiveness. www.cyberparks-project.eu, [access: 08.06.2015]. Smaniotto Costa, C., “Can we change processes in our cities? Reflections on the role of urban mobility in strengthening sustainable green infrastructures,” Journal of Traffic and Logistics Engineering, 2. 141-155. 2014. Siemens, G., “Connectivism: A learning theory for the digital age,” International Journal of Instructional Technology and Distance Learning, 2(1). 3-10. 2005. Bereiter, C., Education and mind in the knowledge age, Lawrence Erlbaum Associates, New Jersey, 2002. Buchem, I. and Perez-Sanagustin, M., “Personal Learning Environments in Smart Cities: Current Approaches and Future Scenarios,” eLearning Papers, 35. 1-14. 2013. Meyrowitz, J., “The Rise of Glocality: New Senses of Place and Identity in the Global Village,” In: K. Nyíri (ed. ), The global and the local in mobile communication, Passagen Verlag, Vienna, 2005. Sharples, M., Arnedillo-Sánchez, I., Milrad, M. and Vavoula, G., “Mobile learning: Small devices, big issues,” In: N. Balacheff, S. Ludvigsen, T. de Jong and S. Barners, (eds. ), Technology-Enhanced Learning, Springer, New York, 2009. Pérez-Sanagustín, M., Buchem, I. and Kloos, C.D., “Multi-channel, multi-objective, multi-context services: The glue of the smart cities learning ecosystem,” Interaction Design and Architecture(s) Journal, 17. 43-52. 2013. Bonanno, P., “A Process-oriented Pedagogy for Ubiquitous Learning,” In: T. Kidd and I. Chen (eds. ), Ubiquitous Learning: A Survey of Applications, Research, and Trends. Information Age Publishing, Charlotte, NC, 2011. Kim, S.H., Park, N.H. and Joo, K.H., “Effects of Flipped Classroom based on Smart Learning on Self-directed and Collaborative Learning,” International Journal of Control & Automation, 7(12). 69-80. 2014. Bijker, W.E., Of Bicycles, Bakelites and Bulbs: Toward a Theory of Sociotechnical, MIT Press, Boston, 1997. Bijker, W.E., “How is Technology Made? – That is the Question!,” Cambridge Journal of Economics, 34. 63-76. 2010. Byker, E.J., “Bangalore's Challenge: The Social Construction of Educational Technology in India's Silicon Valley,” Global Studies Journal, 6(2). 25-31. 2014. Fulk, J., “Social Construction of Communication Technology,” Academy of Management Journal, 36(5). 921-950. 1993. Inkinen, T., “The Social Construction of the Urban Use of Information Technology: The Case of Tampere, Finland,” Journal of Urban Technology, 13(3). 49-75. 2006. Lakhana, A., “What Is Educational Technology? An Inquiry into the Meaning, Use, and Reciprocity of Technology,” Canadian Journal of Learning and Technology, 40(3). 1-41. 2014. Lăzăroiu, G., “The Social Construction of Participatory Media Technologies,” Contemporary Readings in Law & Social Justice, 6(1). 104-109. 2014. Trevor, P. and Bijker, W.E., “The Social Construction of Facts and Artefacts: Or How the Sociology of Science and the Sociology of Technology Might Benefit Each Other,” Social Studies of Science, 14. 399-441. 1984. Brantley-Dias, L. and Ertmer, P.A., “Goldilocks and TPACK: Is the Construct ‘Just Right?’,” Journal of Research on Technology in Education, 46(2). 103-128. 2013. Heffernan, R.M., Motivators of Classroom Technology Use and Types of Technology Being Used in Public Elementary Schools in an Urban School District, Walden University, Minneapolis, 2012. Polly, D., McGee, J.R. and Sullivan, C., “Employing Technology-Rich Mathematical Tasks to Develop Teachers' Technological, Pedagogical, and Content Knowledge (TPACK),” Journal of Computers in Mathematics and Science Teaching, 29(4). 455-472. 2010. Klichowski, M. and Smaniotto Costa, C., “How do Pre-service Teachers Rate ICT Opportunity for Education? A Study in Perspective of the SCOT Theory,” Kultura i edukacja, 4. 2015. Colbjørnsen, T., “Digital divergence: analysing strategy, interpretation and controversy in the case of the introduction of an ebook reader technology,” Information, Communication & Society, 18(1). 32-47. 2015. Ya’acob, A., Nor, N. and Azman, H., “Implementation of the Malaysian smart school: An investigation of teaching-learning practices and teacher-student readiness,” Internet Journal of e-Language Learning & Teaching, 2(2). 16-25. 2005. Atencio, M.,; Tan, Y.S.M., Ho, S. and Ching, C.T., “’The strawberry generation… they are too pampered’: Pre-service physical education teachers’ perspectives on outdoor education in Singapore,’ European Physical Education Review, 21(1). 31-50. 2015. Prieto, L.P., Wen, Y., Caballero, D. and Dillenbourg, P., “Review of Augmented Paper Systems in Education: An Orchestration Perspective,” Journal of Educational Technology & Society, 17(4). 2014. 169-185. Acosta, E.S., Escribano Otero, J.J. and Toletti, G.C., “Peer Review Experiences for MOOC. Development and Testing of a Peer Review System for a Massive Online Course,” The New Educational Review, 37(3). 66-79. 2014. Aguaded-Gómez, J.I., “The MOOC Revolution: A new form of education from the technological paradigm?,” Comunicar, 41(21). 7-8. 2013. Andronie, M. and Andronie, M., “Information and communication technologies (ICT) used for education and training,” Contemporary Readings in Law & Social Justice, 6(1). 378-386. 2014. Kranz, G., “MOOCs: the Next Evolution in E-Learning?,” Workforce, 93(4). 10-10. 2014. Sun, D., Looi, C.-K. and Xie, W., “Collaborative Inquiry with a Web-Based Science Learning Environment: When Teachers Enact It Differently,” Journal of Educational Technology & Society, 17(4). 390-403. 2014. Ruiz-Calleja, A., Vega-Gorgojo, G., Asensio-Pérez, J.I., Gómez-Sánchez, E., Bote-Lorenzo, M.L. and Alario-Hoyos, C., “SEEK-AT-WD: A Social-Semantic Infrastructure to Sustain Educational ICT Tool Descriptions in the Web of Data,” Journal of Educational Technology & Society, 17(2). 321-332. 2014. Valtonen, T., Kukkonen, J., Kontkanen, S., Sormunen, K., Dillon, P. and Sointu, E., “The impact of authentic learning experiences with ICT on pre-service teachers' intentions to use ICT for teaching and learning,” Computers & Education, 81. 49-58. 2014. Beacham, N. and McIntosh, K., “Student teachers' attitudes and beliefs towards using ICT within inclusive education and practice,” Journal of Research in Special Educational Needs, 14(3). 180-191. 2014. Barak, M., “Closing the gap between attitudes and perceptions about ICT-enhanced learning among pre-service STEM teachers,” Journal of Science Education and Technology, 23(1). 1-14. 2014. Day, L., “ICT: The changing landscape,” Australian Primary Mathematics Classroom, 19(2). 23-27. 2014. Koh, J.H.L., Chai, C.S. and Tay, L.Y., “TPACK-in-Action: Unpacking the contextual influences of teachers' construction of technological pedagogical content knowledge (TPACK),” Computers & Education, 78. 20-29. 2014. Kabakci Yurdakul, I. and Coklar, A.N., “Modeling preservice teachers' TPACK competencies based on ICT usage,” Journal of Computer Assisted Learning, 30(4). p. 363-376. 2014. Koh, J.H.L. and Chai, C.S., “Teacher clusters and their perceptions of technological pedagogical content knowledge (TPACK) development through ICT lesson design,” Computers & Education, 70. 222-232. 2014. Chant, R.H., Heafner, T.L. and Bennett, K.R., “Connecting Personal Theorizing and Action Research in Preservice Teacher Development,” Teacher Education Quarterly, 31(3). 2004. 25-42. Dweck, C.S., Self-theories: Their Role in Motivation, Personality, and Development (Essays in Social Psychology), Psychology Press, Philadelphia, 2000. Jaskulska, S., “Graded assessment of pupils’ conduct as a research object. Discovering a hidden school upbringing curriculum,” In: E. Bochno (ed. ), School in Community. Community in School, Adam Marszalek Press, Torun, 2013. Krauze-Sikorska, H. and Klichowski, M., The Educational and Social World of a Child. Discourses of Communication, Subjectivity and Cyborgization, Adam Mickiewicz University Press, Poznan, 2015. OECD, Creating Effective Teaching and Learning Environments: First Results from TALIS, OECD Publishing, Paris, 2009a. Richardson, V., “Constructivist teaching and teaching education: Theory and Practice,” In: V. Richardson (ed. ), Constructivist Teacher Education: Building a World of New Understandings, Routledge Falmer Press, Bristol, 1997. OECD, Creating Effective Teaching and Learning Environments: First Results from TALIS, http://www.oecd.org/edu/school/creatingeffectiveteachingandlearningenvironmentsfirstresultsfromtalis.htm, 2009b. Doruk, B.K., “The Educational Approaches of Turkish Pre-Service Elementary Mathematics Teachers in Their First Teaching Practices: Traditional or Constructivist?,” Australian Journal of Teacher Education, 39. 2014. 113-134. Karadağ, R., “Pre-service Teachers’ Perceptions on Game Based Learning Scenarios in Primary Reading and Writing Instruction Courses,” Educational Sciences: Theory & Practice, 15(1). 2015. 185-200. Karadağ, R., “The Perceptions Of Primary School Teachers And Teacher Candidates Towards The Use Of Mass Media In Teaching Turkish Language,” International Journal on New Trends in Education and Their Implications, 5(3). 2014. 117-127.